Your mother hates your tattoos. So does your Apple Watch, apparently. 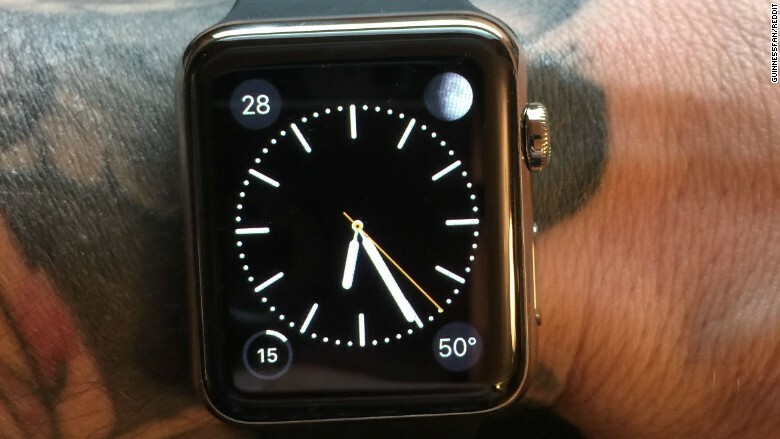 Tattooed wrists can prevent the Apple Watch's heart rate sensor from functioning properly, according to some customers. Since the Apple (AAPL) Watch uses your heart rate to determine whether you're wearing it, you might not be able to use Apple Pay, receive notifications, place calls, or use certain apps if you have tattoos on your wrists. Some Apple Watch wearers on Reddit and Twitter complained about the tattoo issue, and Apple blog iMore confirmed that the problem exists. One Reddit user found that he could turn off the Apple Watch's wrist detection, allowing notifications to come in. But he couldn't use Apple Pay or receive calls without the wrist detection setting turned on. A spokeswoman from Apple did not respond to a request for comment.